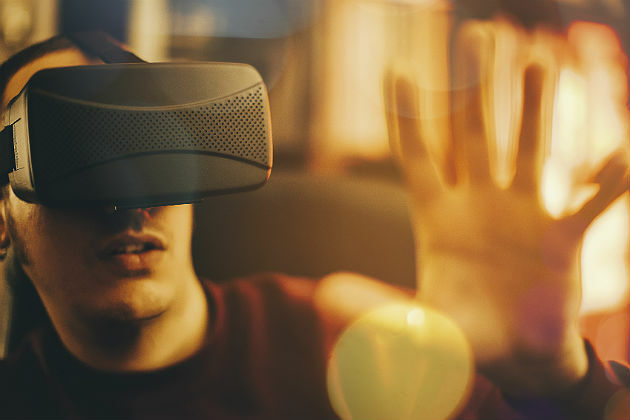 Amidst all the hype and wide-eyed growth predicted for virtual reality, it's often difficult for stakeholders to decide which of its two words to focus on. Will VR deliver only indirect, "virtua"” benefits to businesses or direct, tangible benefits that become bottom-line reality? On this topic, today's hype will definitely become tomorrow's given. Even in these earliest days, VR is already a game-changer, and the future holds immense promise for almost every business vertical. VR might utilize complex technologies, but its innovation is easy to grasp. Simply put, VR is a logical, next-step evolution in our ability to communicate with each other and groups. Five thousand years ago, literacy made our thoughts portable. Almost a century ago, the first talking movie made experiences portable. Thanks to technological progress, VR now lets us create and easily distribute new, richer experiences that go beyond the time and space limitations of today's media. Every organization that needs to convey something — to a customer, a trainee, an audience — will benefit from the VR paradigm shift. Through VR, perceptual experiences can now take place in three dimensions, which a major evolution in and of itself. This benefit is already in growing use throughout the travel and real estate industries, where prospective clients can walk through environments and properties to make informed visiting or purchase decisions. No promotional video will ever match the enticement of a virtual helicopter ride over a rainforest or metropolis, or the sensation of walking along that quiet beach. VR also moves us beyond the limitations of the two senses used in today's communications: sight and sound. By way of hardware peripherals, VR experiences will include tactile and other sensory information to further emulate physical reality. If seeing is believing, what is touching worth? Customers will be able to feel the drape before they buy that suit or curtain. Doctors will learn to feel a microfracture that an X-ray might miss. Wearables will produce and extract additional sensations for and from the user. This, in turn, will generate valuable, real-time feedback to the content provider. In the near future, marketers will have their hands on the pulse — literally. More than any existing media, VR can provide an experience that's genuinely interactive, and able to switch the narrative flow in real-time. The user, the author, the publisher, and even the audience can all influence activity to a directed outcome, whether it's an informed trainee, a successful sale or a storybook happy ending. The gaming industry has long been pioneering these open-narrative experiences through "quests" where the user determines the action; and also through networked games, where multiple participants can affect actions and outcome. Transposing gaming into the business world, a quest is similar to any transaction or negotiation. The action involves the presentation of persuasive information (such as a proposition or product demo) by one party, while the other decides whether the choice is compelling. If so, deeper interest is expressed and deeper content invoked. If not, alternative content is delivered or selected. While this is happening, a third-party distributor of the content might be deciding, through AI and selective data, which content to serve to which user in real-time. An outside audience, such as a focus group or other customers, could steer the details and outcome. VR does away with the one-sidedness of linear experiences like video. What if there was a Skype for physical presence? Short of the matter transporter that Trekkies dream about, VR will be our closest answer. What if you could invite thousands to a physical venue that only held a dozen? What if a company's best global talent could interact on the same project in real time without travel? What if companies could train new employees through real-world simulations, rather than procedural manuals and explainer videos? The immersive aspect of VR makes all this possible. Today's teleconferencing will pale in comparison to VR's shared group experiences, where one-to-one can take place at the same time as one-to-many. Our most acute human assets will re-emerge through this technology. Physical cues like eye contact and body language will matter again. Who's paying attention and who's not will be obvious once more. Naturally, this will all be captured as data. Which industries will benefit from VR? All of them, once the technology becomes more adept, standardized and accessible. In these early days, sentiment is still mixed. According to the Consumer Technology Association, users have trouble finding the content they want, and without it, headset usage — and interest — declines. Once in full motion, though, VR will be a complete game-changer, and not only for business enterprise but for the human enterprise.